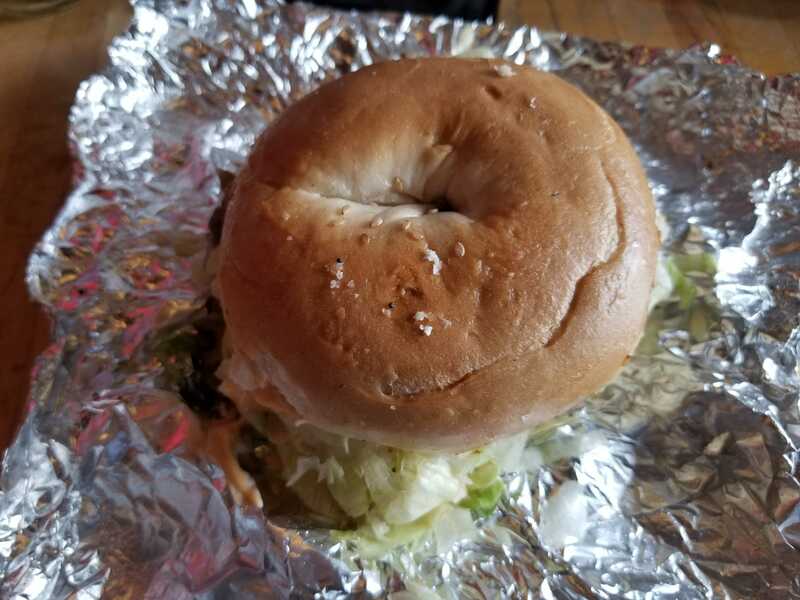 Food review: Ripple Bagel and Deli - NCHS Live! Tucked in between Starbucks and Three Dog Bakery, you can miss the bright blue shop if you are not looking for it. Ripple Bagel and Deli has been there for years, but you may not have noticed it. Those who do not notice it are missing out. As the name suggests, along with the large bagel clock on the top of the building, Ripple Bagel and Deli is a restaurant centered around bagels. The only non-bagel items that can be ordered are soups and salads. While the quality of the salads and the soups cannot be spoken off, the quality of the bagels can. 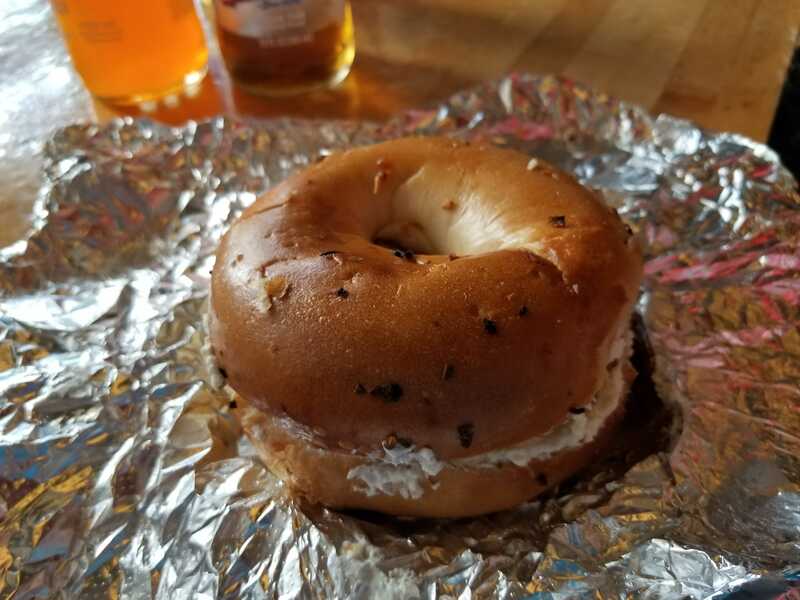 The Five-O, which is used in reference to the police, given the bacon on the bagel, is an excellent breakfast bagel. With lots of bacon and some very good cream cheese, the Five-O is the kind of bagel everyone should want to walk up to in the morning. The High Mack is seen as a Big Mac from McDonald’s but with real meat. The sandwich was very good, with roast beef that is used as the meat of the sandwich goes well with the large dill pickles. 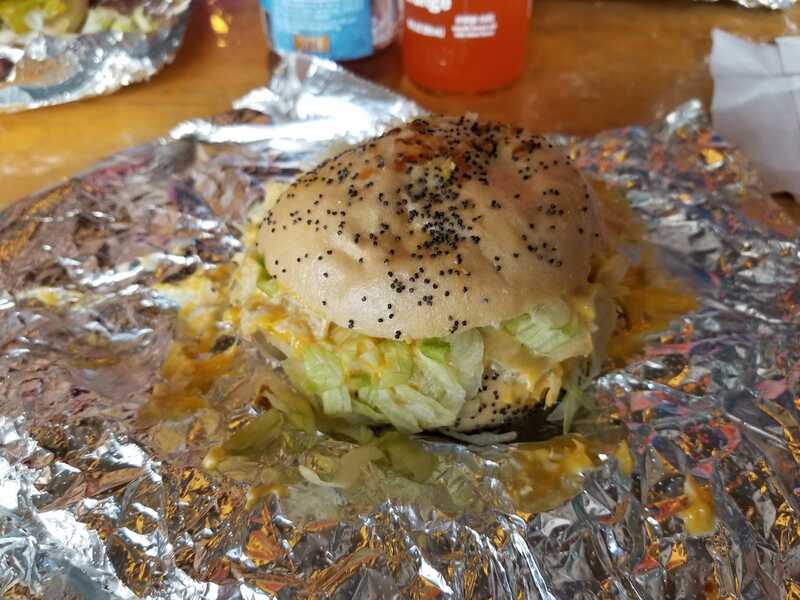 Overall, the High Mack can be seen as a more flavorful, succulent and more real alternative to the Big Mac. The Hot Tuna Meltdown had some ups and downs, though.